BEIJING - China's ruling Communist Party said Sunday that it punished nearly 300,000 officials for corruption last year. The party's official watchdog body said that 200,000 of those were given light punishments and 82,000 handed severe penalties, including demotions within the bureaucracy. While many of those caught up in the crackdown are lower-level officials, China's rulers have also taken steps to make high-profile arrests for corruption, like former security chief Zhou Yongkang and famed TV host Rui Chenggang. The body known as the Central Committee for Discipline Inspection rarely explains its methodology or what evidence it considers, and no other details were given in the brief statement posted on its website. 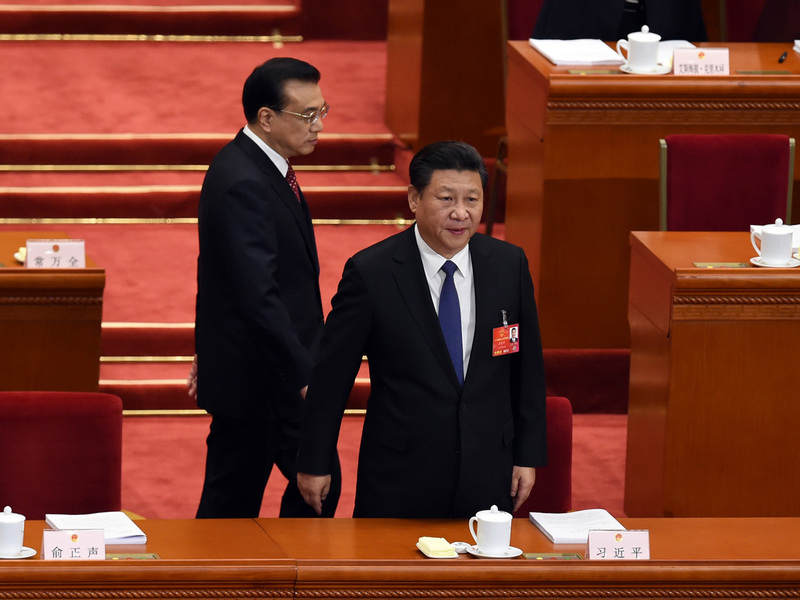 President Xi Jinping has pressed a massive nationwide probe of corruption among officials of all ranks, including those in the party, government, military and state-run industries. The results of the probe however have left more question than answers. A case in point was the recent disappearance and reappearance of Guo Guangchang, often described as China's Warren Buffet. The multi-billionaire was detained by Chinese police in December, before suddenly resurfacing a short time later in New York, after trading in his Fosun International Trading conglomerate was suspended while he was out of circulation. Guangchang is just one of several wealthy Chinese who have gone missing or been taken into custody in the last year as part of widening government probes into the securities industry and investment practices. Earlier this year, for example, Hanergy chairman Lei Heijun's failure to show up for a shareholder meeting promptly wiped nearly $19 billion off the "clean energy" company's market valuation and caused its stock to plunge 47 percent. The dragnet comes as the central government seeks to re-instill confidence in China's volatile equity markets, which Beijing has promoted as an engine of wealth-creation for ordinary Chinese. The crackdown also aims to root out corrupt government officials. More than 400,000 civil servants were disciplined in 2013 and 2014 in connection with the anti-corruption drive, a major increase over previous years, according to Capital Economics. For global investors, meanwhile, the initiative is making it harder to read just what is going on inside the world's second-largest economy. That's a problem given that no question looms larger for 2016 than the trajectory of the Chinese economy. Hundreds of thousands of officials have been interviewed in the anti-corruption campaign, but only a small number have been identified. An independent database lists 1,567 as having been investigated, expelled from the party or sentenced. Among the highest-level targets of the campaign was Zhou Yongkang, the head of a rival power network and former member of the party's inner sanctum, the Politburo Standing Committee, who was sentenced last year to life in prison for corruption.